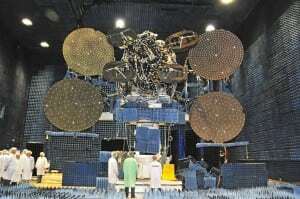 [Via Satellite 08-11-2014] The United States District Court for the Southern District of California has vacated the $283 million in damages originally awarded to ViaSat in its dispute with Loral and former subsidiary Space Systems Loral (SSL). In a decision issued Aug. 8 on post-trial motions, the court found the award resulted in a “miscarriage of justice” against SSL. A new jury trial to reevaluate the amount of damages is tentatively scheduled for November 2014. ViaSat initiated the breach of contract and patent infringement lawsuit over the use of technologies first used in the ViaSat 1 High Throughput Satellite (HTS). The company claims SSL breached its agreement by applying confidential information to Hughes’ Jupiter 1 satellite. Hughes and ViaSat are competitive providers of satellite broadband. In April the jury concluded that SSL breached non-disclosure agreements with ViaSat. Following that decision, SSL President John Celli told Via Satellite the company would “seek to overturn the verdict in post-trial motions and, if necessary, through the appeal process.” SSL, disagreeing with the jury’s conclusion, filed motions on June 13 for judgment as a matter of law or for new trial regarding the breach of contract damages, reasonable royalty damages, lost profit damages, and double counting of damages. ViaSat filed an omnibus response in opposition to the motions on July 11 to which SSL filed supporting replies for its own motions. ViaSat is seeking an injunction on the manufacture and sale of additional satellites by SSL that it alleges infringe on the company’s patents. The court has deferred an argument on this injunction until Aug. 26.